As cliché as it sounds, there are few things more daunting than the blank page, the blank score, the empty canvas or the phrase “be sure and come back with an idea we can propose.” Inspiration isn’t something that just springs forth from a magic well anytime it’s asked for or needed. Inspiration is spontaneous and fleeting. What a writer quickly learns in an inbound marketing agency, or really any creative job with deadlines, is that nobody cares if you’re inspired to create that day, they just want the job done — and done well. If you only waited for moments of inspiration before working, you wouldn’t get much done. There’s still some solace in the truth that you can complete quality work without this romantic ideal of “inspiration” churning at all times. By sticking to processes and patterns that consistently produce results (plus practice), writing can be done without the constant input of “eureka” moments. Sure, Wolfgang Amadeus Mozart was a genius. You can still bet he wasn’t always inspired to write music at every waking hour. He had one of the best music theory teachers in Europe in his father, Leopold Mozart. Process will always trump talent and inspiration. Timeless works are rarely, if ever, a product of talent alone. There is still something to be said for inspiration. Those wellsprings of creativity aren’t always in the places you think they are. Sometimes you have to look in the most unlikely places to find them. If my personal experience speaks to anything at all, it’s that, if you bring unsuspecting experiences of your personal life into your working life, you’ll be surprised what you find. You’ll also have more fun doing it. I’m often guilty, as most of us are, of compartmentalizing different areas of my life. 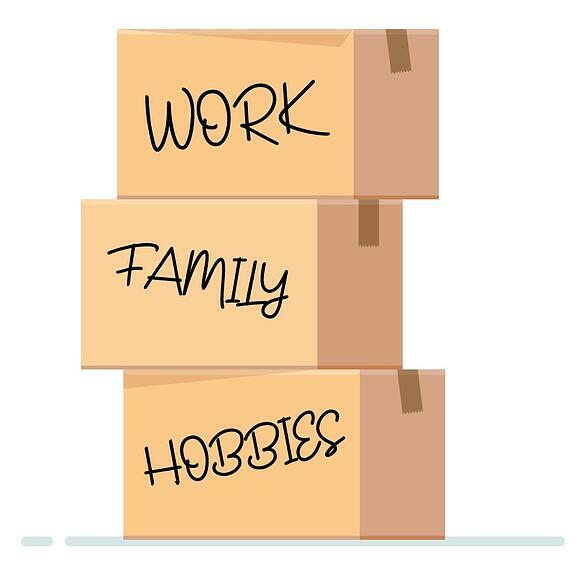 For example, I have my work box, family box, and hobby box, among others. The contents of these boxes mix, but I’m generally good at putting one box away before opening another. This can be healthy for us to an extent, but sometimes too much compartmentalization can result in missed opportunity. I recently found inspiration when I decided to integrate two boxes I always kept well apart – the hobby and work boxes. As a preface, I’m a self-professed nerd. I’ve played more than my fair share of video games over the years. One such game I’ve recently enjoyed is the popular “MOBA” League of Legends, a game pitting 5 “champions” against an opposing team of 5 in a 35-minute bout for dominance. At first or thirtieth glance, it’s hard to think this could have any application whatsoever to inbound marketing. If you’re familiar with digital marketing agencies, they’re obsessed with idea of finding traits for companies that separate them from the rest of their industry. These are most commonly known as differentiators, but we like to call them “remarkables.” We want to know what makes a company truly remarkable, even if it means working in collaboration with the company to create something that really sets them apart. A fundraising software company is one such company in need of a true remarkable. In League of Legends, there is a ranked system that rewards players for winning games. The more you win, the higher your rank. This laddered tier system, not unlike healthcare plans or credit cards, runs from Bronze to Diamond (“Challenger” is technically the highest tier). There are in-game rewards associated with each tier. Additionally, however, there is a random gift, or “crafting,” feature, where players earn randomly generated rewards for strong in-game performances. These “gifts” can be granted to players regardless of tier and are often traded for points that can be reused to purchase more lucrative gifts. Why not reapply this principle in the fundraising world? By giving the fundraising software a plugin for companies to create donor incentives via a ladder, a sense of competition inspires donors to give more. A predetermined gift system, triggered by actions such as donations or attending specific events, sets up additional incentives beyond the simple tier system. All of these things are designed, most importantly, to keep users engaged with the fundraising software just like they would be in a video game setting. It didn’t actually require that much scrounging around to discover the idea, but it did take a conscious effort of finding inspiration in a place few would look. I’m sure there are better ways to appropriate video game concepts to marketing. If you’re already immersed in the world, you might as well look. Finding inspiration is more than playing video games, of course. It’s about integrating the different parts of your life. There’s no doubt I can take some of the marketing knowledge I learned at this agency to help me, say, create and market my own website. By the same principle, I can visit other passions to seek inspiration. I can find ways to apply politics, as I did in this blog, to help establish a metal fabrication client’s credibility in its industry. You won’t always be inspired, that’s just a fact. If you’re in need for a little inspiration pick-me-up, though, maybe the answer is closer to you than you think.